Only a Saturday with the Flips Flipping Pages can be this illuminating. A week ago, eight Flippers paid the Lumina Pandit Exhibit at the University of Santo Tomas a visit. Organized by Professor GnP, it was a very memorable activity. 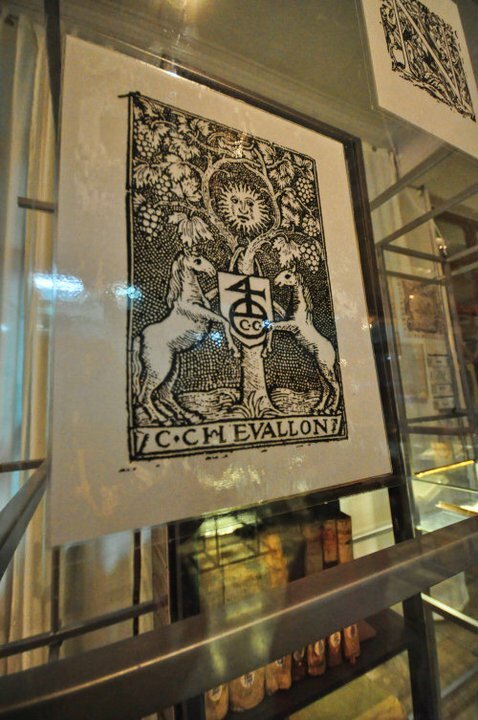 The exhibition commemorates the survival of a 400-year-old institution, the UST Library. 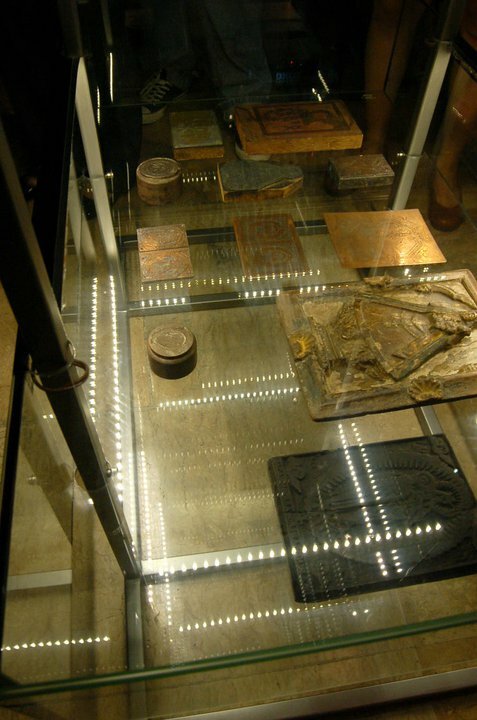 Showcased are the original academic records of Jose Rizal, documents with baybayin script, 100-year-old newspapers, and rare tomes. 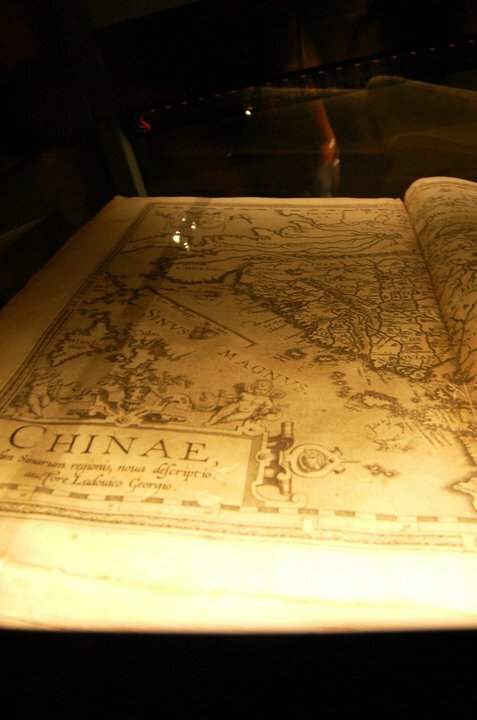 My favorite is a book of maps. 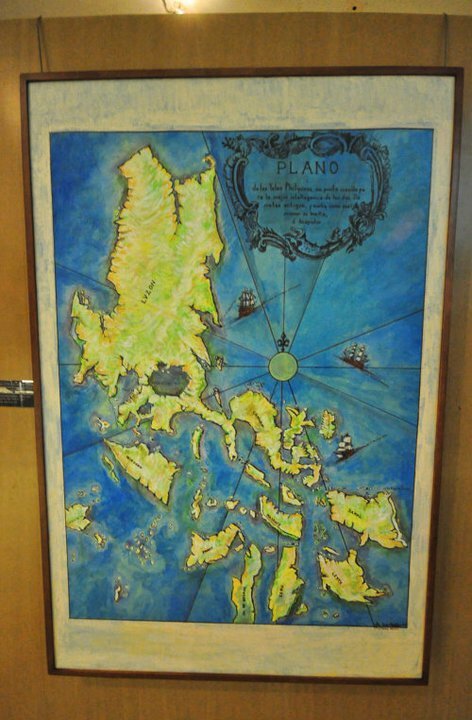 Maps tell much about how people saw the world; back then, the Philippines was a land of legends. 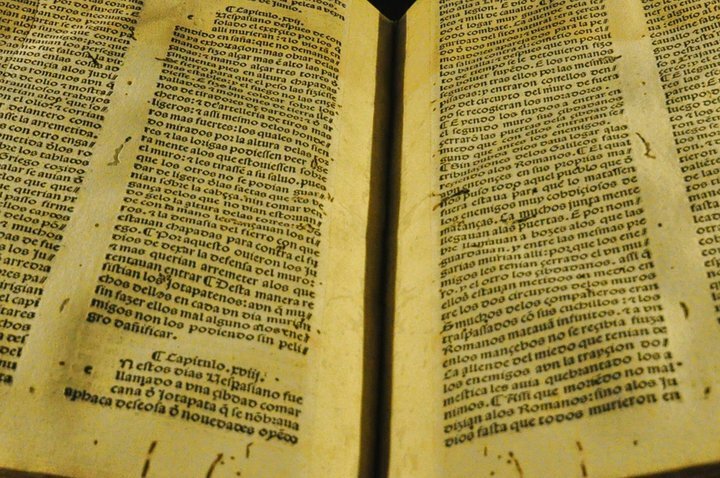 The oldest book is an incunabula by a Jewish historian and translated into Spanish. Josefo Flavio’s La Guerra Judaica was printed in 1492 and recounted the Jewish wars with the Romans. 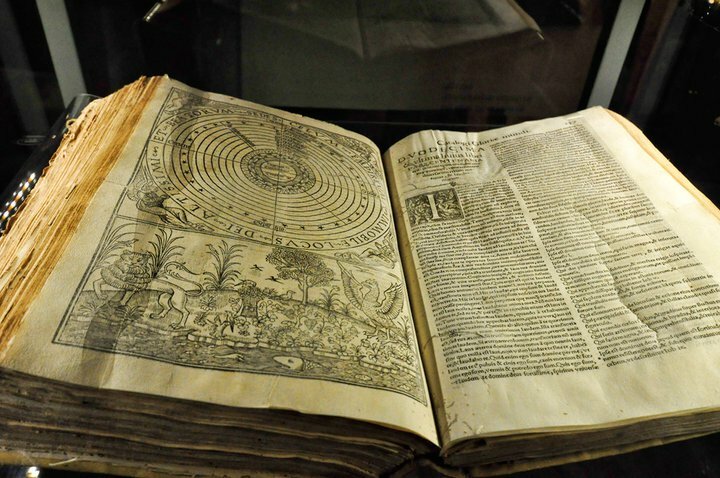 Other books in the collection include a 16th-century, first edition tome penned by Nicholas Copernicus and 400-year-old Plantin Polyglot Bible. 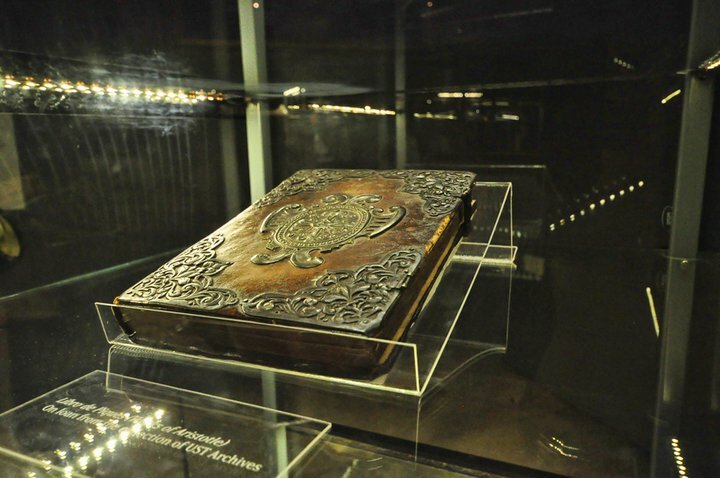 The Bible is quite famous and possibly the most valuable of UST’s treasures. 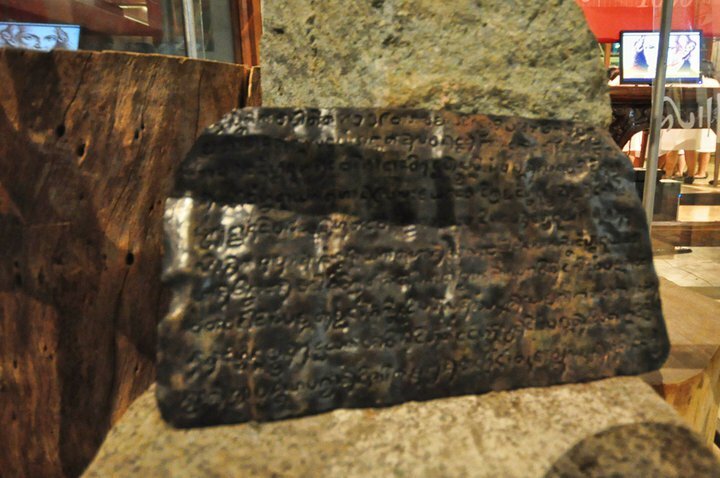 It is in Hebrew, Syrian, Aramaic, Greek and Latin. I can easily imagine a Dan Brown story taking form in the University Halls. The books when not on exhibit are kept at the archives, where only librarians and scholars may enter. Easily the highlight of our tour was a demonstration of a xylographic printing. I applied ink on a carved wooden board called a woodcut template. By means of a replica of a primitive printing press I then transferred the design onto paper (actually the guides did; I just loved the sound of my first thought better.) My souvenir imprint was coveted by the others. I’ll give it to Kwesi because he’s the youngest and sweetest Flipper. 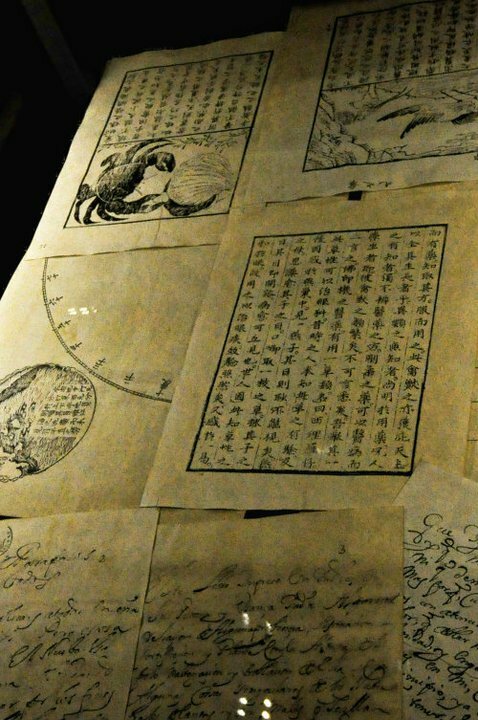 Lumina Pandit is Latin for “to spread the light.” The university seeks to illustrate through the exhibit how across four centuries it has spread the light of civilization to the Orient. Divided into six sections signifying eras of enlightenment in the Orient, the exhibit hall is surprisingly compact but holds a wealth of relics. I suggest that other Flippers take a guided tour (No entrance fee. Donations are welcome) and return to the beginning of the exhibit for a lingering appreciation of our cultural treasures. More guards should have tailed us. Didn’t they know we were a book club? And they let us loose among rare books! Exhibit is open until January 30, 2011 at the ground floor of the Miguel de Benavides Library. Hours are Tuesday to Saturday, 8am-5pm. Call (632) 731 3034 or email library@mnl.ust.edu.ph for details. Not satisfied with the oldest library, we segued into the oldest museum before lunch at a Thai restaurant near UST. At the Museum of Science and the Arts we got an eyeful of stuffed animals, animal fossils, religious artifacts, coins, medals, and school memorabilia. Mike proudly pointed out at a goblet used by senior wizards to vote for wizardry apprentices into becoming full-fledged wizards… Wait, I segued into something else entirely. Thanks to Gege and Rhett for the photos. I noticed you were missing in the pictures. The Natural Museum was fascinating but not half as fascinating as the rare books at Lumina Pandit. Can you believe it? 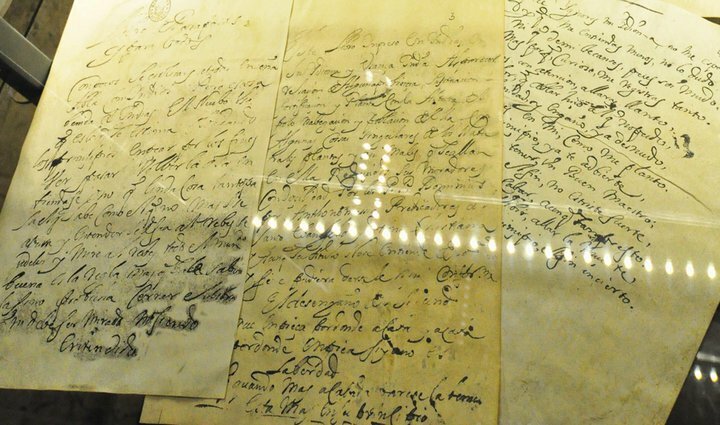 The 400-year old books were better preserved than my pocketbooks printed 20 years ago! Seeing the stuffed animals in the museum made me sad (especially the dog) so I much preferred the exhibit on rare books. Two months before Lumina Pandit closes. Plenty of time for you to visit. gonna take my bibliophile bff out to see this. Yes! It’s going to be an experience! Just being around all those ancient books expands one’s mind. Hi, Will! Yes, it was. 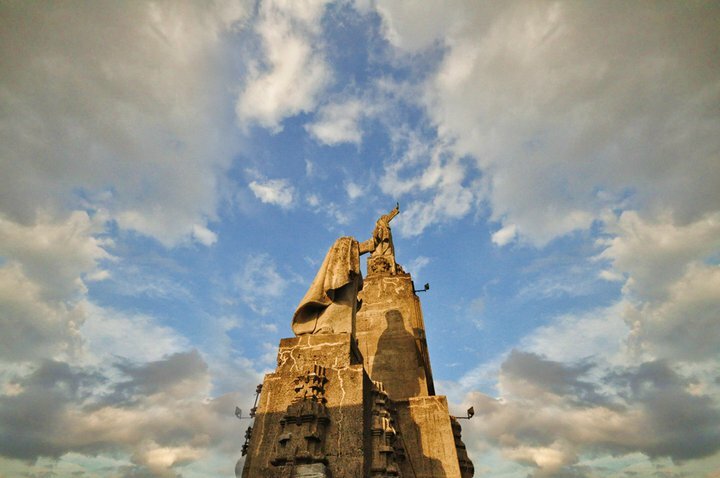 The photos say a lot–do check out the links to more photos. But the actual experience is better–see, smell, almost touch the books! Hello, I stopped by your blog today. This looks like an amazing exhibition. Thanks, Ann! The history if the South East is pretty amazing, very rich from the meeting of so many cultures from all over the world. I’m just realizing it. I’m very happy that there are exhibits like this that allow us to learn. Amazing pictures. I can’t somehow see the Kindle being displayed at a museum years from now.